The Atlanta Area Council holds several special events each year providing a fun way to support Scouting and great exposure for our sponsors! Peach of an Athlete recognizes amateur and professional athletes who live their lives with the same values as Scouting. 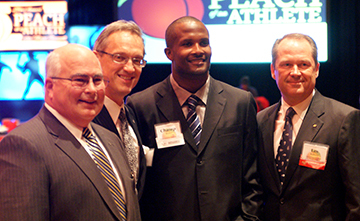 This awards dinner honors 12 collegiate athletes, a professional athlete, and a community leader. Click here for more information or contact Alexis Richbourg, Senior Development Director, at 770-956-3177. You can make sure more than 32,000 Metro-Atlanta youth have the opportunity to take part in the greatest youth program in the world. 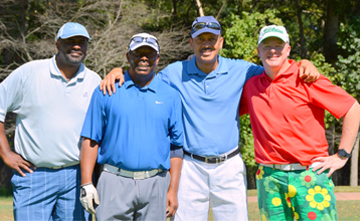 All it takes is a round of golf at one of Atlanta’s finest courses. With your donation and support, youth throughout the Metro-Atlanta will learn leadership skills, develop strong moral character, and become the kind of citizens that will make Atlanta a better place to live. 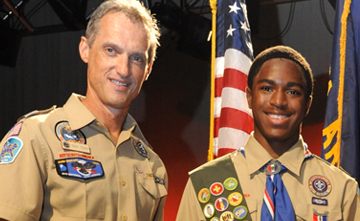 The Eagle Scout Recognition Ceremony will celebrate the accomplishments of the 2018/2019 class of Eagles. We are proud to name the class in honor of Eagle Scout, Paul Brown, Chief Executive Officer of Inspire Brands. 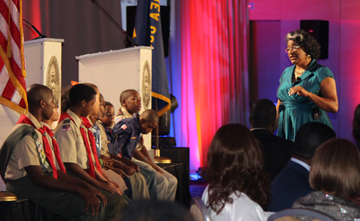 Eagle Scouts and their families attend the ceremony free-of-charge due to the generosity of our event sponsors. For more information contact Barton Lowrey, Development Director, at 770-956-3174. 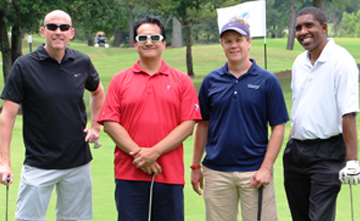 The Corporate Classic is the Council’s longest running special event featuring golf at the famous Atlanta Athletic Club. 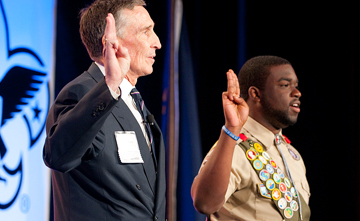 The national Whitney M. Young, Jr. Service Award recognizes individuals and corporations who have been instrumental in the development of Scouting for youth who often face challenging barriers. For more information or contact Alexis Richbourg, Senior Development Director, at 770-956-3177. 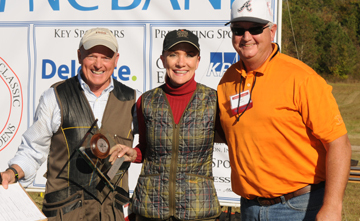 The Sporting Clays Tournament features a full day of clay shooting on two courses at the beautiful Barnsley Gardens Resort. Teams start at $3,750. Sponsors at the $5,500 level enjoy a sponsor shoot, dinner and fireside cocktail party on November 14th. Join more than 1,500 of the Metro-Atlanta's top business and community leaders as we celebrate Scouting’s success in 2018, and pledge to support its future. The Golden Eagle Luncheon is named in honor of our donors at the $1,000 level and above.